Clarks have helped children make the transition from crawling to walking with a great range of comfortable and supportive shoes for many years. We collaborated with Clarks to uncover further opportunities for them to expand their product range around their key brand message. By expanding our thinking out from walking and into early years mobility we found several opportunities for products that could sit within Clarks product portfolio. We mirrored the ethos behind their shoe designs by using premium materials and a strong design identity. 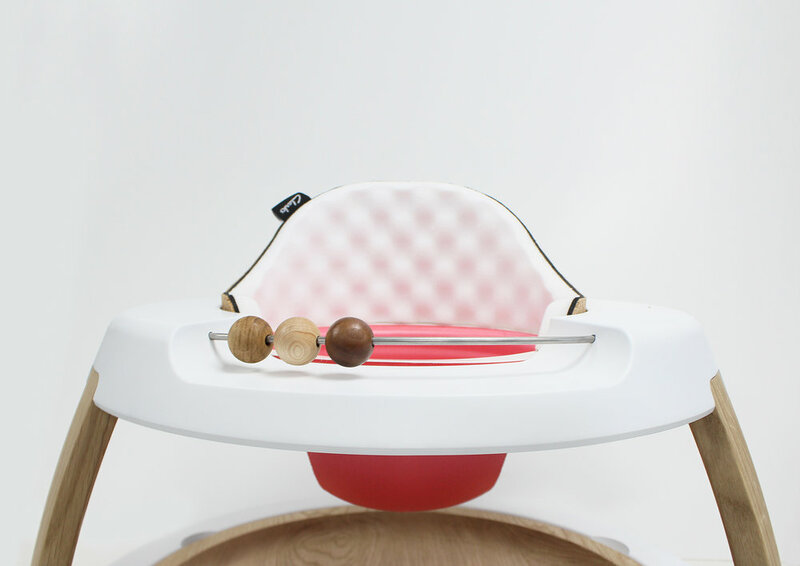 Again, to further the comfort story we embedded discreet adjustability to suit the growing child and integrated subtle interactive technology with repeatable patterns. Our aspiration was to create a product that would sit within the lifestyle conscious parents living space whilst still engaging the child without the requirement for a design language that parents want to hide away when visitors arrive.